This gorgeous new Maserati is all about the choices. Would you prefer a V6 Turbo Diesel or a Twin Turbo V6 Petrol engine? Do you lean towards GranLusso design for the love of luxury or how about the GranSport design to take the racing line? Each form is comprehensively equipped according to your precise personal wishes. The exterior of the GranLusso offers chromed bumper inserts and elegantly integrated body-color side skirts. The luxurious vehicles design features large 19'' Poseidone alloy wheels, complete with visible black brake calipers and full LED adaptive headlights. The interior of the GranLusso offers extensive 12-way power adjustment full leather seats and a memory function for your tailored comfort. The GranLusso has an exterior that screams dynamic edge with its front sport-specific bumper which includes piano black inserts. The grille is optionally available in black and the iconic Trident has inserts in the same original blue, designed by Mario Maserati back in the 1920's. The interior features a sports steering wheel, race-bred gearshift paddles and foot pedals. The Gransport seats are nothing short of luxurious racing jobs, and it includes the convenience and flexibility of the Skyhook suspension system. Everything about this Maserati is true to the Maserati grand touring tradition with the cabin characterized by elegant Italian style. The advanced ZF eight-speed automatic transmission ensures precise gear changes and, thanks to auto-adaptive software, the transmission modifies its shift patterns according to each persons driving style. What's more, the last two gears (7&8) are specially calibrated to reduce fuel consumption for long, high-speed journeys. The advanced driver assistance systems include; Highway assist, Lane keeping assist, Traffic sign recognition, Adaptive cruise control with stop and go, Forward collision warning plus, Active blind spot assist and rear cross path function. Maserati has definitely made safety a top priority when designing the Ghibli with a full 5-star EURO NCAP safety rating. If you would like to get your hands on one of these luxurious vehicles, expect to pay around $77 073,75. 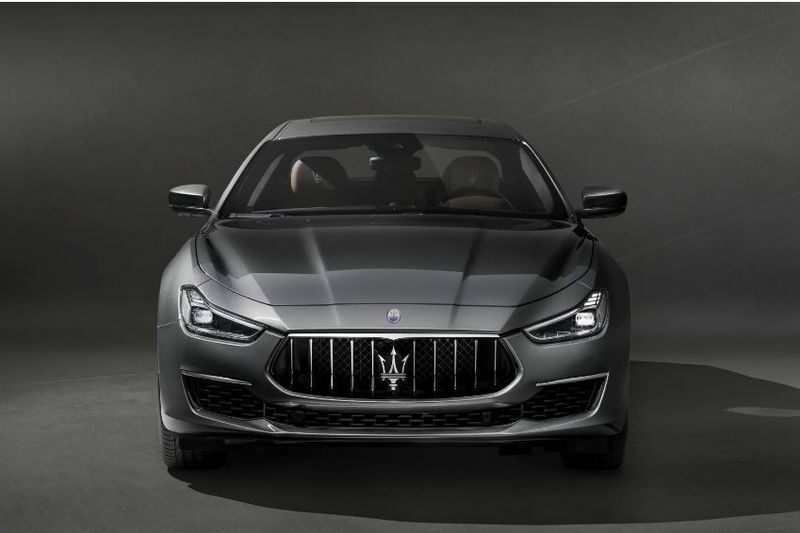 The Maserati Ghibli Receives A Facelift And Granlusso Badging!